The project manager has a difficult task of managing several projects at once. This because each project is different. 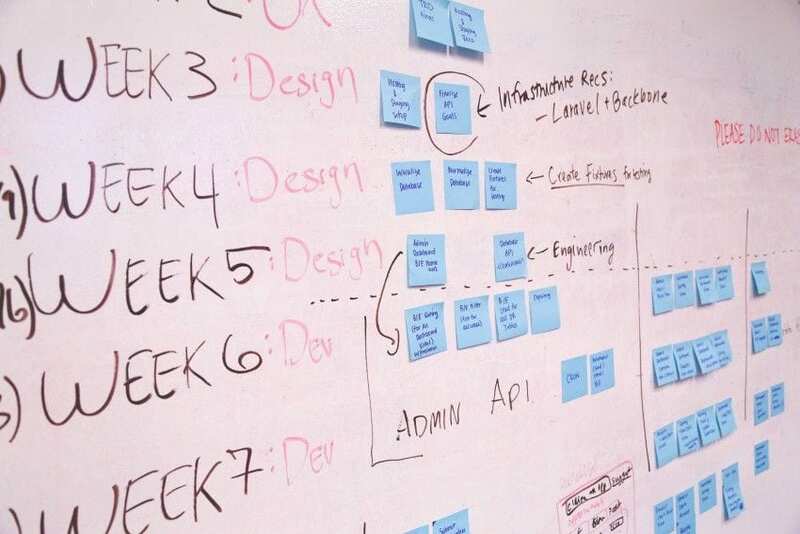 Per project, the manager needs different tasks to be fulfilled and by different collaborators. On top of that, each project needs to be perfectly outlined with an ultimate deadline until when it needs to be finished. This is why Sheetgo provided this template that solves all of these issues. It even lets you calculate dependencies between tasks because sometimes it is not necessary to wait to start with another task before the previous one is finished. 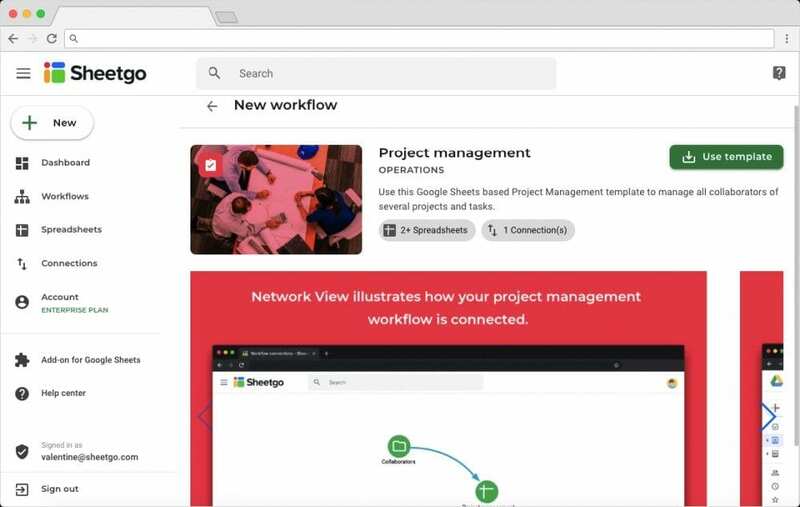 This template is designed to automate not only the reception of project information for your team but also the monitoring of each of their progress. This is done by connecting each individual task report status spreadsheets (“Joe”, “Stephanie”, and “Emanuel”) to the master spreadsheet “Project management” in both ways. The project manager fills out the different projects that need to be completed and by whom and till when. The employees then fill out their progress. 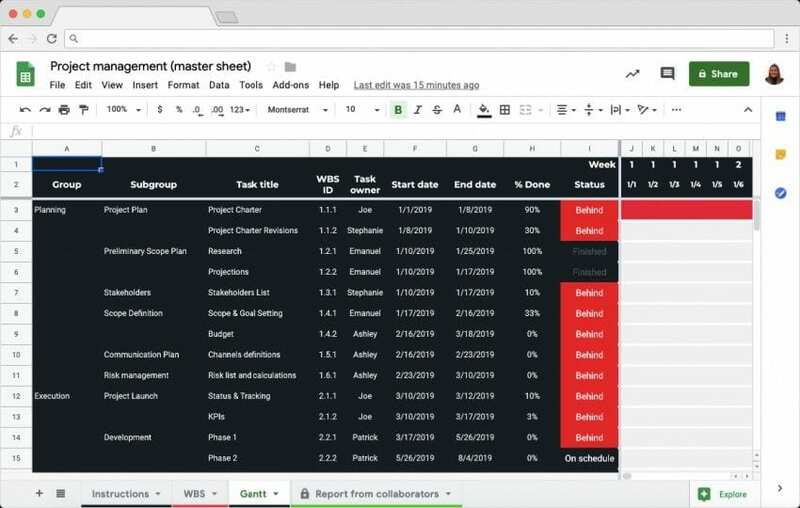 Inside the master spreadsheet, a Gantt is created for the manager to easily track his team’s performance. You will be asked to log in with your Google account. After authorizing Sheetgo, your Sheetgo account will also be automatically created. Once you are inside the Sheetgo Web Application, click on ‘Use template’ to install the Project management system. 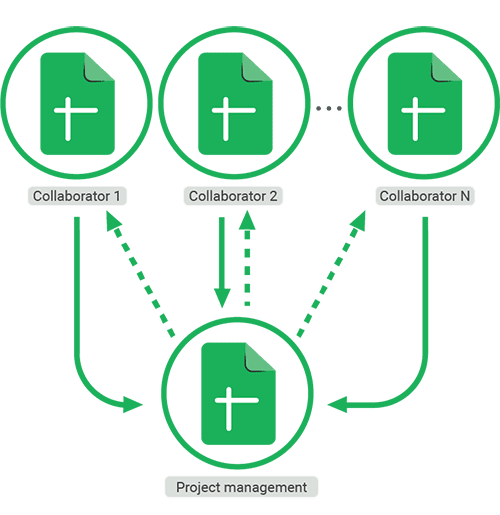 Click on the spreadsheet and folder icons to open both the master spreadsheet “Project management” and the “Collaborators” folder, which holds 3 different spreadsheets (respectively Joe, Stephanie, and Emanuel) as an example for 3 employees working on projects. The system is stored inside a folder in your Google Drive. Inside the master spreadsheet, you will find instructions on how to use the template. As a project manager, first, fill out the different projects and to whom you assign them to in the “WBS” tab. Your employees will then receive their projects inside their individual spreadsheets. They only have to fill out their individual task status report by registering the % of completion for each project. 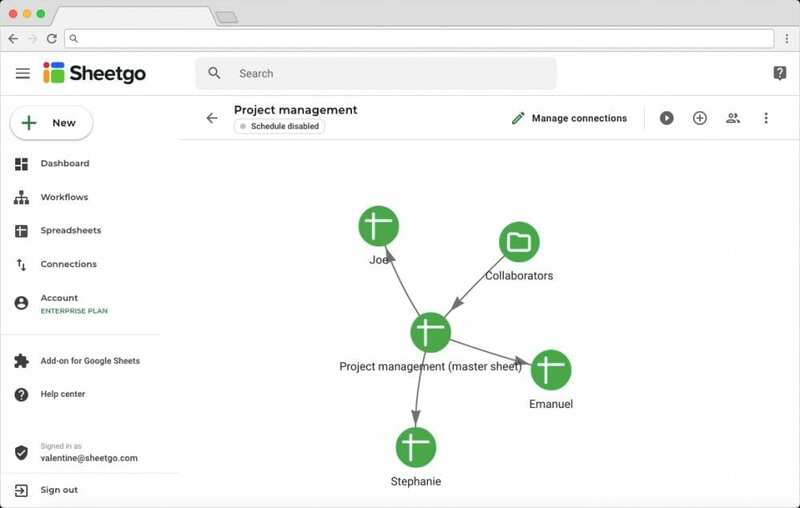 Go back to the Sheetgo Web Application and click on the play button ‘Run workflow’ to update the connections between the individual task status report spreadsheets and the master spreadsheet Project management. This will automatically bring the employees’ performance status into the master spreadsheet. 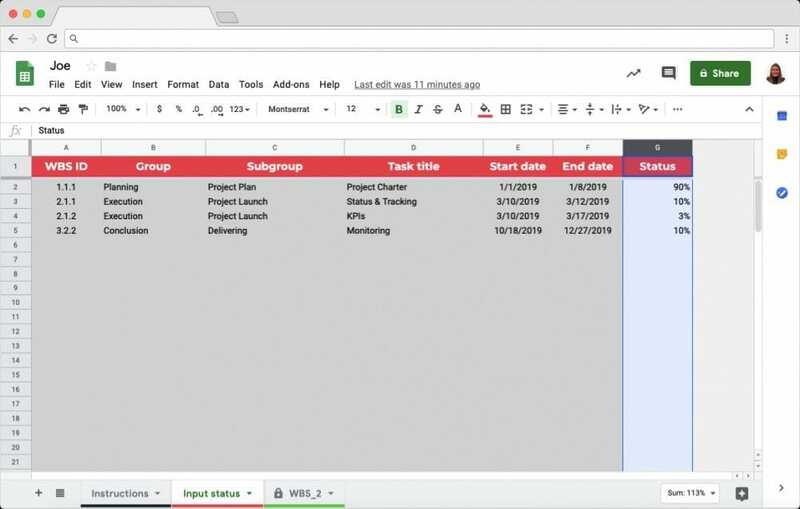 Inside your master spreadsheet, you will find a “Gantt” tab that shows you an overview of the structure of your project and its progress. You have successfully configured your Project management template in Google Sheets.